Florida teachers struggling to pass the Florida's teacher certification exam (FTCE) may have more fuel to question its fairness. A recent study on North Carolina's teacher licensing exam found no correlation between teachers who passed the math section of the test and those who performed well in the classroom. "It was a little surprising," said Kevin Bastian Ph.D from the University of North Carolina in Chapel Hill. He, along with Kristina Patterson of Georgia Southern University, were commissioned to study North Carolina's teacher exam after a surge in failures prompted education leaders there to question why? "If a state is going to making high stakes decisions [like] if a teacher gets a licensure or not, based on those scores you want that test to predict outcomes for those teachers," Bastian recently told investigative reporter Katie LaGrone. 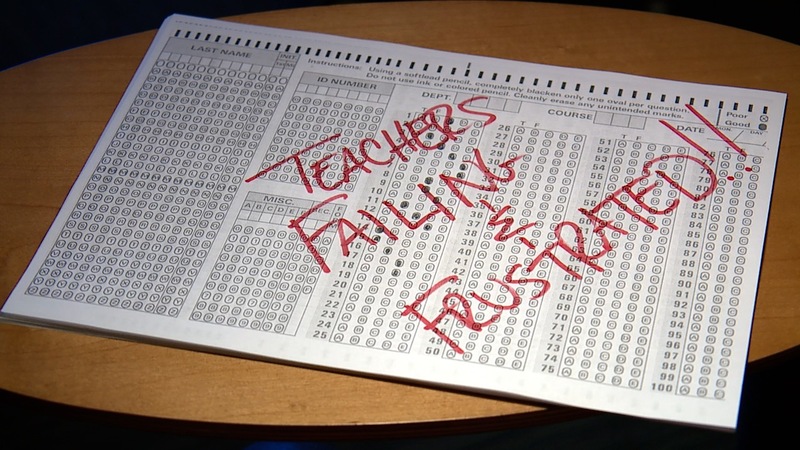 North Carolina's teacher licensing exam is administered by for-profit testing giant, Pearson, the same company Florida is paying $58 million dollars to administer its controversial teacher licensing exam, a state test our investigative team has been investigating for two years. Since the test was made tougher in 2015, we found a surprising surge in failures . Over the past two years, we've reported on how those failures have caused statewide fallout ranging from the use of more long-term substitutes to a wave of teacher terminations. This past summer, we reported the terminations of more than 1000 Florida teachers who did not pass a portion of the FTCE. Many teachers are taking and repeatedly failing the General Knowlege portion of the exam. "When you have a number of over 1000 teachers who cannot return to the classroom to teach because of a test that’s a problem," Florida Representative Shevrin Jones (D-West Park) told us this past summer. It's become a statewide crisis Florida lawmakers on both sides of the aisle said they are committed to changing. "I think it's critical we get this done," Florida Representative Byron Donalds (R-Naples) told us recently. Representative Donalds is Chair of the PreK-12 Quality Subcommittee and told us he believes Florida's teacher certification exam is outdated. After hearing from school districts and watching our series of emmy-award winning reports on the issue, he says updating the FTCE is a top priority, from lowering fees to take the exam to re-evaluating what's on it. "I think one of the things we have to do is review if you’re going to be teaching Mathematics, in all honestly, does your passage on the English Language Arts portion make sense if you’re never going to teach English/Language arts," Donalds told us from his district office in Naples, Florida. As a result of the study in North Carolina, education leaders there are now recommending the state no longer use Pearson to administer the math section of its teacher licensing exam. Representative Donalds said he's considering a similar study on Florida's teacher licensing exam. "We’ve actually had discussions about that already." Donalds added the topic of Florida's teacher certification process will be discussed during a committee week later this month in Tallahassee. "We have to make sure we’re doing everything we can as a state to make sure we have the most amount of teachers who are qualified to be in the classroom so if we need to make tweaks in our state to our system in order to make sure that happens, than that’s exactly what we should do," Donalds said. 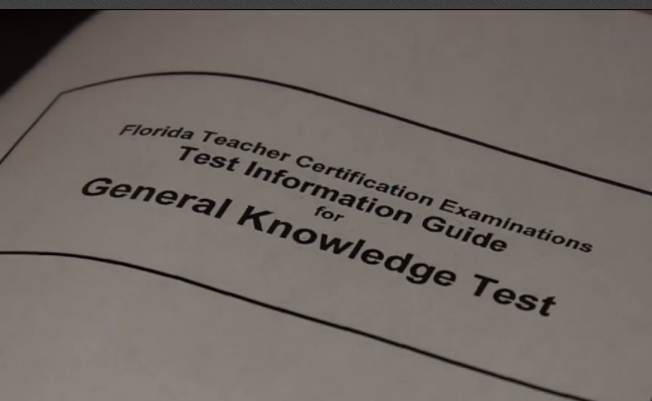 A spokesperson with Florida's Department of Education confirms it has never conducted such a study on its teacher licensing exam. The department had no response to the action in North Carolina nor did the testing company, Pearson, who directed us to the state for comment.